This week I learned the heartbreaking news that I have lost a dear friend. Well, I guess to say that I have lost him is not really true. Vance was a devout follower of Jesus, seeking to live his life in Christ’s example the best he knew how. Because Vance and I both share a common belief in life everlasting for those who believe in Jesus Christ, I know exactly where he is now. But it doesn’t erase the pain of an unexpected death. Vance was young. Too young to be passing away in his sleep. And yet it happened. As a result of losing him so quickly and without any warning, I have found myself struggling to really accept his loss, and at the same time, remembering him. Two of the things which Vance and I initially bonded over was our mutual love of all things Star Trek… and the ability to lovingly torment our mutual friend, Liz, with our sic-fi knowledge. (Liz despises all forms of science fiction, and birds). If anyone else heard, I doubt they understood. I nearly lost control of myself. I faked a cough to cover a laugh and poked Vance in his side. He ignored the poke and continued to sit motionless in the pew, giving the appearance of being asleep, but really paying closer attention than anyone knew. I have been thinking a lot about that long-ignored memory that has forced itself to the surface in the past couple of days. To those of you who didn’t recognize Vance’s Star Trek reference, he was quoting Worf (or any Klingon, for that matter). Klingons value honor above all else. They are warriors who find their sense of honor on the battlefield, and so, to a Klingon, dying well means dying valiantly on the battlefield. It was the sudden image of John Wesley, dressed as a Klingon warrior, gruff-voiced, grunting, “May you die well” to his congregation. Of course, it’s not what Wesley meant when he said it. Wesley’s image of dying well was about as far from a Klingon’s as night and day. Except for the fact that he valued honor as highly as a Klingon. For Wesley, honor did not come from having the spirit of a warrior, for being able to withstand tremendous amounts of physical pain, or by dying on a battlefield. To John Wesley, honor meant living in the footsteps of Jesus Christ. It means living out the great rabbi’s teachings. It means living with the knowledge that we are saved through faith in Christ alone, and that our faith in Christ is all we need to enter into life eternal. Those early Methodists died well because they died with an undying faith in their hearts. Their physical bodies gave way so that their spiritual lives might live on in Christ Jesus. What seemed to be the end was really just the beginning for those believers. They died well because there was nothing to fear and no reason why they should hesitate crossing over into the next part of their journey with God. I know that Vance has, indeed, died well. It hurts beyond words for those of us left behind, trying to find answers and trying to understand why a young man was taken away from us so soon. But I do have the comfort of knowing that Vance lived well. He was not perfect. He made his mistakes. He struggled with his demons, as we all do. But in the end, for those of us who knew him, he lived a life that reflected Jesus Christ. Maybe we Methodists are a little more like Klingons then we’ve ever realized. We live by a code–granted, we are not warriors charging into the fray, but we are relentlessly marching forward toward the goal of reaching the Kingdom. We are supposed to be willing to go to any length, and to live our lives in such a way, that at any moment should death find us, we would die well in that moment. And that’s pretty much what the Klingons do. 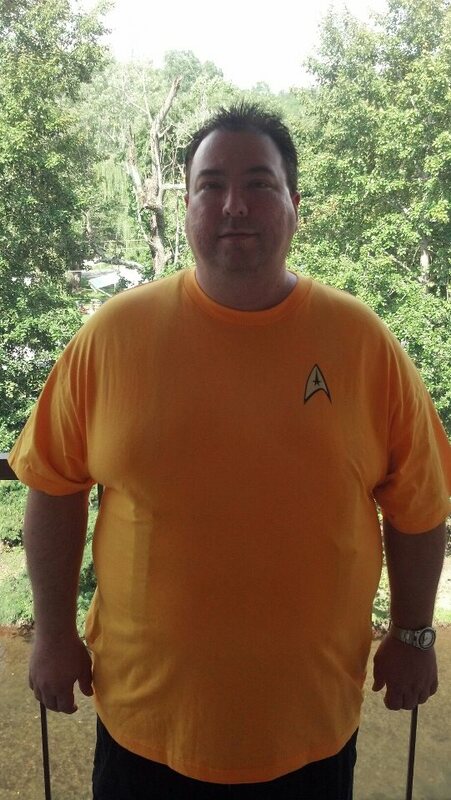 So, my dear friend, Frankie Vance Leach–my Methodist Klingon brother–you have lived well. And you have died well. May we all do the same.